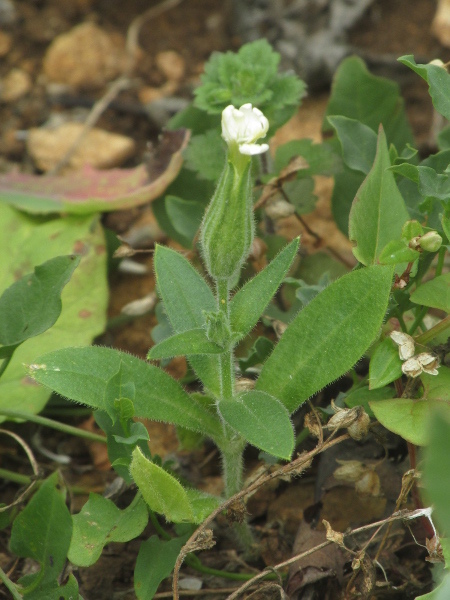 Silene noctiflora is a rare arable weed, concentrated in eastern England. 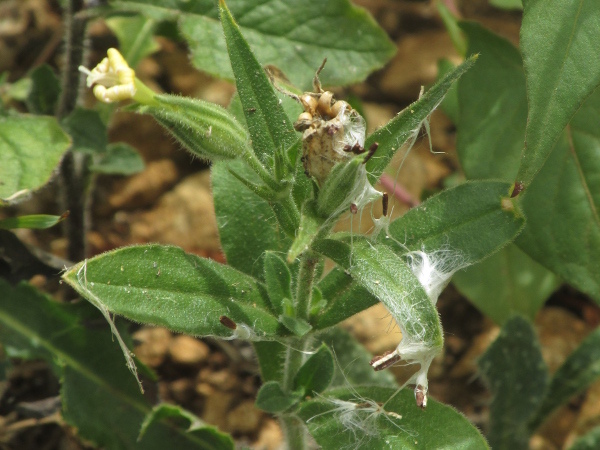 The calyx of Silene noctiflora is over 20 mm long, and covered in glandular (and a few non-glandular) hairs. 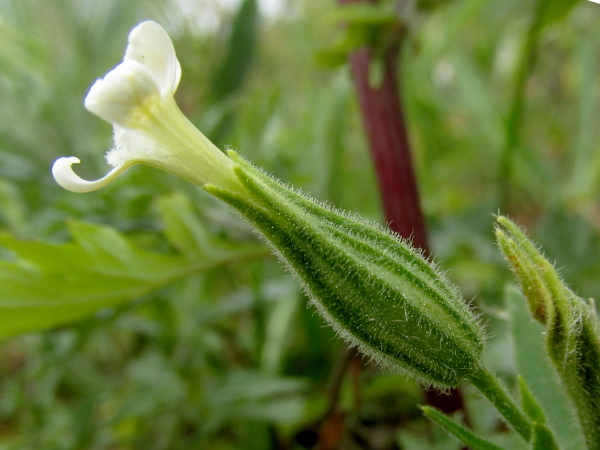 The flowers of Silene noctiflora have 3 stigmas, and the fruiting capsules open by 6 teeth.